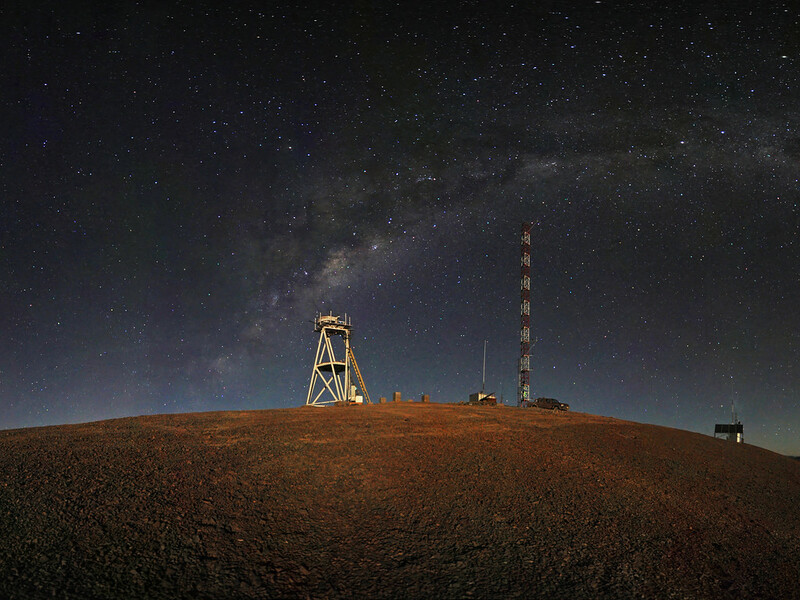 This night-time panorama shows Cerro Armazones in the Chilean desert, near ESO's Paranal Observatory, site of the Very Large Telescope (VLT). 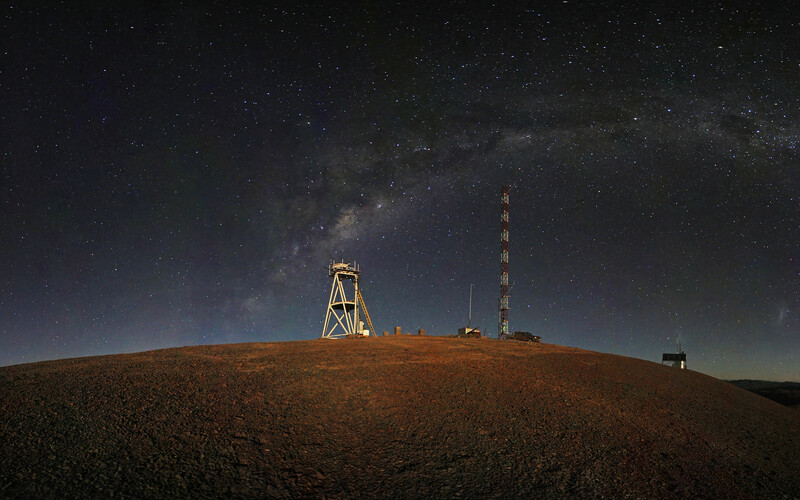 Cerro Armazones was chosen as the site for the planned European Extremely Large Telescope (E-ELT), which, with its 40-metre-class diameter mirror, will be the world’s biggest eye on the sky. This image is available as a mounted image in the ESOshop.